KAMPALA – A delegation from United Arab Emirates (UAE) has on Wednesday afternoon, arrived in Uganda with the support of Prime Minister’s office and the Ugandan Embassy in UAE. 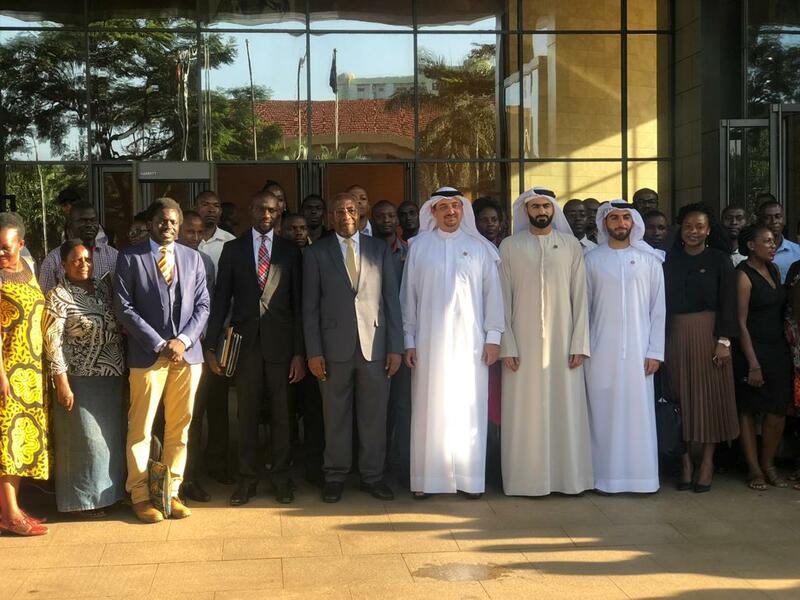 The delegation in Uganda to discuss Uganda – UAE trade experience and collaborations ahead of the highly anticipated Dubai World Expo to be held October 20, 2020 – April 2021. The six-month-long expo will see difference countries showcase their products on the international scene as a benchmark and driver of global business. United Arab Emirates is the first country in the Middle East and Africa to hold this World Expo; held every after 5 years. “We have given ourselves a target to double our exports come next financial year and we can only do this with your involvement as key stakeholders. We pledge our support to all Ugandans who intend to be a part of this World Expo come 2020 so that we can harness the opportunity to promote our products and services to the global scene,” said Zaake Kibedi Ugandan Ambassador to UAE. The Ugandan envoy further expresses his astounding appreciation to the Dubai business community for the transformation of United Arabs Emirates to a top-notch business hub in the Middle East and the world over. “We have seen UAE transform their country from a poor state to a first world-class – full of prosperity – and this has been able through innovation, ingenuity and using brains. We should emulate, study and share our experiences because we have the best fertile soils and there’s is there’s is full of sand, but they have done incredible work to address this. Recently, I visited their country and was marvelled by the high number of young Ugandans employed in the various sectors of the economy and really we appreciate your hospitality given to them and expect them to share their experiences when they travel back to Uganda,” said Ugandan Premier, Hon. Ruhakana Rugunda. Very soon we shall have the expo 2020 which is a major undertaking and we haven’t had anything like this in the Middle East and Africa so their hosting means were a fully part of it and we are doing all it takes to make sure that Ugandans are comfortably hosted because more than 190 countries have confirmed their participation and Uganda is part of them as we are in the bid to promote our products and services on the international globe he further explained. “We are working hard that we deliver the best ever expo in the world and I assure you that every country will have its own pavilion and we are setting up a city for this International Expo that will happen for 6 months starting on 20th October 2020,” said Hamad Hisham Al Shirawi, Business Development and Integration Manager of the Expo.